Our Amish Renwick End Table is a contemporary Shaker style accent with a little bit of a boho/ bungalow feel thanks to the inlays on the front right and left legs. 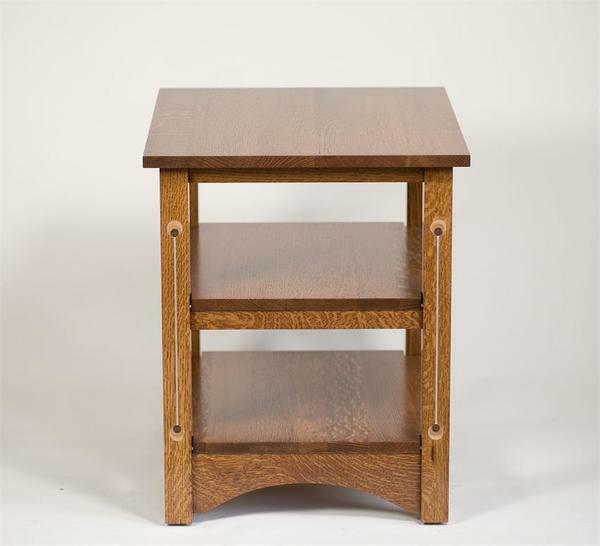 Along with the inlay design, this functional occasional table includes a solid wood top, and two open shelves. A gentle arch that helps to form complete the look. Purchase two and place them on either end of your sofa or purchase one and place it between a set of chairs as a spot for decor, drinks, remotes, and more! Customize it from a variety of wood and finish options to make it yours.